It's that time of year! If you are looking to buy a Chromebook for a loved one (or perhaps yourself) as a Christmas gift, you've come to the right place. Looking for a laptop? Looking for a tablet? Why not have both with the latest 2-in-1 Chromebooks! All of the Chromebooks featured in this article can be used as a traditional laptop in addition to running Android apps natively. With the entire Google Play app store available, these devices will do everything you need. We would like to now present the BH-BL I.T. 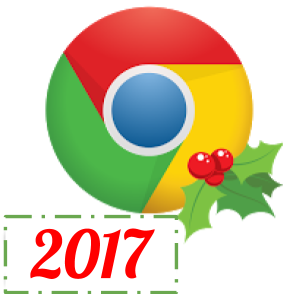 Department's 2017 Chromebook Holiday Round-up! The Acer R11 makes it onto our holiday round-up for the second year in a row! The R11 is a 2-in-1 convertible Chromebook which features a hybrid build of molded plastic and aluminum, allowing for durability while maintaining a light weight. With Androids apps now available on the Acer R11, this makes for a great budget Chromebook with a lot of capabilities! The Lenovo Flex 11 is a step up in processing power from the Acer R11. The Flex 11 contains most of the same features as the Acer R11, but adds a more durable build quality for rugged use as well as more processing power for a faster experience. For users who need durability in addition to portability, this is a great choice! This Chromebook has an extremely vibrant and sharp 2K display, great for reading, playing games, and watching movies. The Chromebook has a light but sturdy magnesium build, which not only looks great, but feels great too! This Chromebook also features a stowaway stylus that makes drawing and writing on the device feel natural. If you’re looking to use Android apps frequently, the Samsung Chromebook Plus is an ideal device. The ASUS Flip C302 is the successor to the ASUS Flip C100 that has been featured in past Chromebook Holiday Round-ups. With a larger, full HD 1080 display and more powerful processing power under the hood, this Chromebook is a workhorse device for productivity purposes. If you need a Chromebook for serious work with some extra bells and whistles, this is the device for you. Note: With Android apps forthcoming, we highly recommend buying all touch-enabled Chromebooks with 4GB rather than 2GB of memory (RAM). † Be sure to check out all of the Black Friday deals this week! We have listed the Amazon prices for each of these devices, but there are sure to be better deals this holiday season.